Please use scroll bar provided by Scribd at right! Understanding the Hidden Spiritual Family Structure of God’s Household! 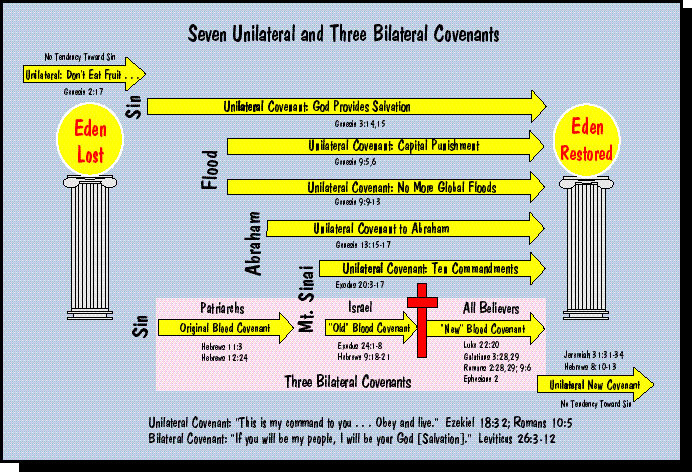 The Hidden Family of God in the Abrahamic Covenant! 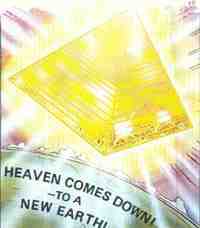 This is a brief look at the coming of New Jerusalem, the celestial city from the sky, and the thousand year reign of Jesus Christ on earth. This is just an outline with some artwork added in. I hope you will take the scriptures and study on your own. Most of all, take firm hold of this eternal hope that belongs to all who trust in Jesus Christ as their Lord and Savior. As we are told in Hebrews 11:13-16: "These all died in faith, not having received the promises, but having seen them afar off, and were persuaded of them and embraced them, and confessed that they were strangers and pilgrims on the earth. For they that say such things declare plainly that they seek a country. And truly, if they had been mindful of that country from whence they came out, they might have had opportunity to have returned. But now they desire a better country, that is, an heavenly one; wherefore God is not ashamed to be called their God; for He hath prepared for them a city." Let's take a look at that time period and city. 1- Satan is Restrained (Rev. 20:2-3) - This means there will be no global deception, no heresies, no false religion, and no spiritual temptation to sin. 2- Jesus Christ Reigns - (Isa. 9:6-7, Isa. 62:1, Psalms 72:7, Jere. 23:5-6) - Jesus will be the only world leader. He will reign in righteousness, being just, holy and true. (Psalms 45:6-7, Dan. 2:44, Isa. 11:1-5, Isa. 16:5, Isa. 32:1-5, Luke 1:32-33) There will be no end to His government. 4- Jerusalem will be the Capitol of the World - (Isa. 2:1-5, Amos 9:11, Zech. 14:10, Zech. 14:16). 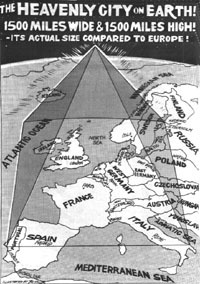 Jerusalem will be raised up as a great mountain above the rest of the world. 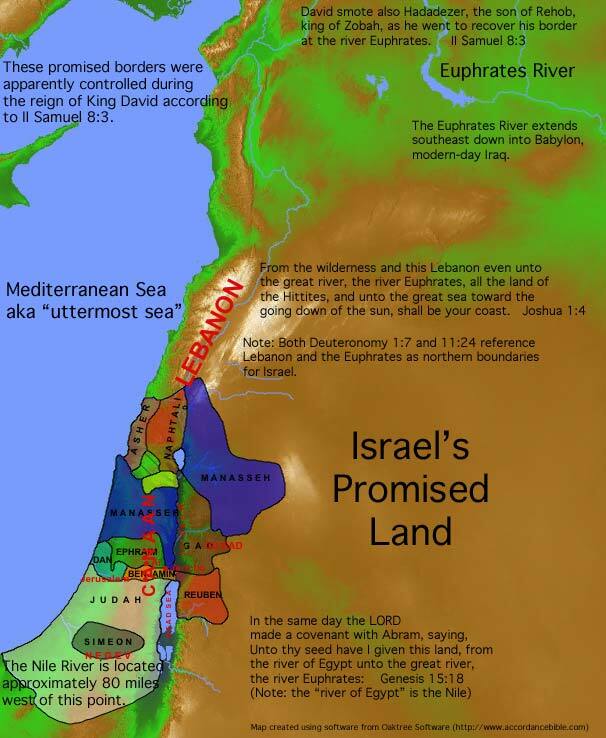 Abrahamic Covenant - (Gen. 12:1-3) Unfulfilled promises to date include Israel being a great nation and their possession of all the Promised Land. Davidic Covenant - (2 Chron. 13:5, 2 Sam. 7:12-16) Unfulfilled promises to date include that the seed of David would rule forever on the Throne of David. 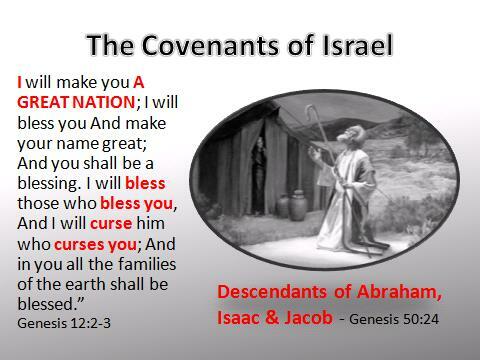 New Covenant - (Jer. 31:31-34) Unfulfilled promises to date include the Lord’s promise of a spiritual rebirth of the Nation of Israel. with the last 1,000 years representing the Sabbath rest of the Lord. The word in the Greek used in 2 Peter is kainos, which means “something new as to (the) form or quality, that is the renewing of something old. If the Lord wanted to convey the idea of a brand new thng, He would have used the Greek word neos which would have meant something that was a brand new creation, not a cleansing or re-creation. 8. The New Covenant Jere. 31:31-34; Jere. 32:37-40 & Jere. 32:41; Ezek. 37:21-28; 2 Cor. 3:6).